Construction business faces stiff competition from new and established companies of the field. Promotional products are key marketing tools in building goodwill for a company’s business. 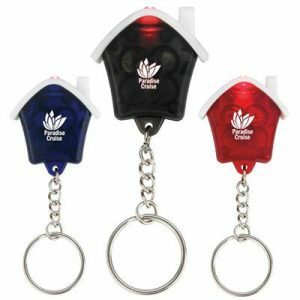 The recipients of the promotional merchandise get something to make their daily life a bit easier, which draws their attention to the logo printed on the gift repeatedly. Promotional products for construction business works on the minds and hearts of the the customers and helps your brand to become memorable. In fact, many surveys have reemphasised how significant promotional products are to converting the recipients into customers. Promotional Product Association International conducted a survey to find out the impact and influence of promotional products on the customers. The survey results amaze us with the power of promo products to entice customers to a business. According to the survey, 76% of the surveyed recipients of the promotional products could recall the advertisers and their business. This stats surprises the marketers as other marketing means are unable to get such results. For example, only 53.5% customers could recognize the advertisers from a print publication. Besides, we know how crucial referrals are to marketers and businesses. When one satisfied customer refers your business to the peers, you get more consumers. The survey shows that an offer of promotional products is capable of drawing more than 500% referrals when compared to sending an appeal letter. 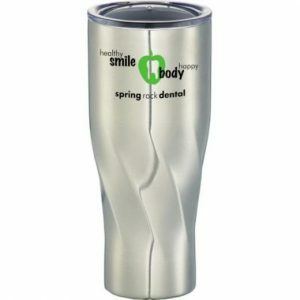 Similarly, it was found that people who receive promotional products have a positive image of a company. The survey revealed that 76.3% of the attendees of tradeshows getting the promotional products had a favorable attitude toward the company. As far as a company’s reach in the market and among target customers is concerned, in construction business promotional products for construction delivered the desired results. 71% of the surveyed recipients of the gifts said that they carried the items with them and 45.2% said that they used the items at least once a day. The survey also revealed the people kept the products for six months to one year with them. This means that one-time distribution of the product is good enough to keep the recipients engaged with your company and business. Compare this with the newspaper and TV advertisements, which fade away from memory quickly as they do not become part of our daily life. These and many other advantages of marketing your business with promotional products should prompt you to buy select promo merchandise. Distribute these items to your employees as an incentive and reward or randomly offer as giveaways to the people at the sideline of a trade show or event. Construction workers wear construction hats as a measure of safety. The hats come in a variety of colors and zero safety features. The product makes a useful gift and it will be with the workers for a long time, advertising your Construction Company Logo Design Ideas for Businesses. Customize the hat with your company’s logo. 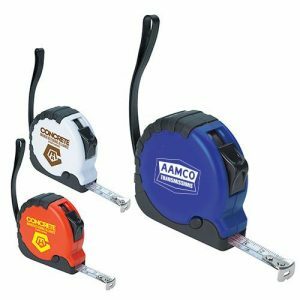 Tape measures are a part of construction work, needed all the time to take adequate measures of the surfaces. The taps are available in different feet measures and many of them come with a metallic clip and a durable wrist strap. Safety flashers are designed to highlight the placing of a person or a thing for safety. These flashers shine from a distance. 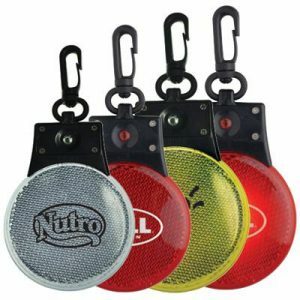 Buy the flashers that have a carabiner hook so that the product can be carried around conveniently. Your logo will be seen boldly on these smaller items. 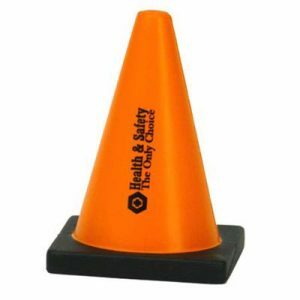 The traffic cone shaped stress reliever is a perfect giveaway for your customers as they will love to squeeze, toss and display the stress reliever. Customize it with your logo and slogan. Flashlight keychain comes with features to flash a light when squeeze. The recipients will find it useful for securing the keys with ease. The product will be with the users for a long time. Construction workers need water to quench their thirst all the time. The fancy looking tumblers are useful items to keep hot liquids warm for over 5 hours. Cool liquids also can be kept cold for 24 hours. 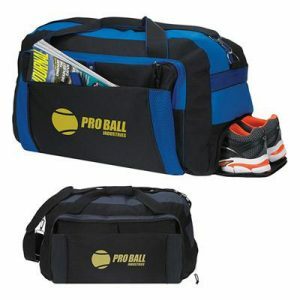 This bag is known for its durability and it can store many belongings. It has a large main compartment, a front pocket, and a snap closure pocket, plus a shoe compartment. Surely, the bag is a useful gift for someone who rushes to the site for work daily. This notepad has 50 pages and it comes with a spiral binding, a sturdy polypropylene cover and a pen. The recipient can jot down the crucial details at a construction site. 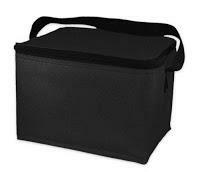 Construction workers and other people can keep their lunch boxes in these small coolers. There are a great hand at an event or on the job. Make sure to include your logo design and contact information on the coolers. 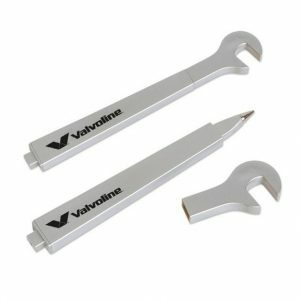 Wrench pen or nail pen also are useful gifts for the construction workers like plumbers, farmers and people who solely frame buildings. This is a good fun giveaway. 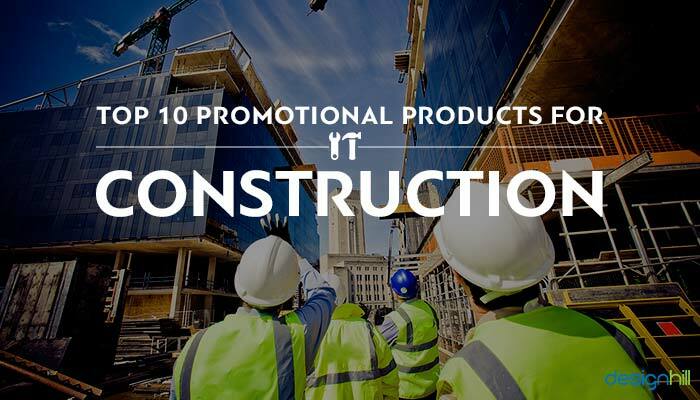 Construction companies will draw more customers using these useful promotional products. 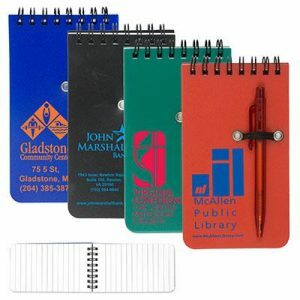 Put your construction company logo and brand message on the gifts for visibility of your business.